From devastation, an ode to joy was born. Some stories are simple yet miraculous. Here’s one: on a warm Saturday morning, you find Mariko, the founder of Aedan Fermented Foods, serenely selling her miso at the Ferry Building Farmer’s Market in San Francisco. She’s there reliably each week – eager to share a satisfied testimonial (“how good your miso makes my cooking!”) or a favorite use of miso (currently Dengaku Miso: a sweet topping great on grilled eggplant and tofu, comprised of miso paste, amazake, and sesame oil). After you take home Mariko’s traditional, hand-made Country Miso, crafted the year before and aged to achieve a particular umami in taste and blush in appearance, you try it, immediately struck by its pure, deeply satisfying flavor. It’s incredibly rich, like butter in some ways. It’s utterly simple and yet a miraculous discovery all the same. You might find yourself mixing Mariko’s miso with hot dashi to make miso soup or simply pairing it with vegetables for a savory snack. Whatever you do with it, you’ll have, perhaps unknowingly, played a part in another simple yet miraculous story, a story in which a mother from Japan, untethered to her homeland, finds refuge in communities here in America. 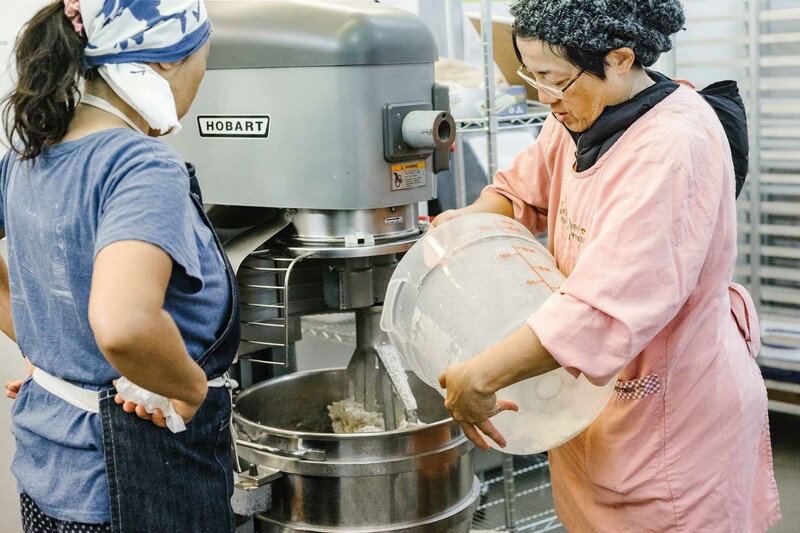 She begins sharing and celebrating her culture through meticulously hand mixing soybeans, salt, and koji – somehow pulling the world a bit closer with every stroke. This story belongs to Mariko and her miso. When the magnitude nine earthquake breached the Pacific Coast of Tōhoku on Friday, March 11th, 2011, Mariko – who split her time between America and Japan – watched powerlessly in anguish as the earth and ocean tore through the places she knew so well. As she witnessed the desolation left in the wake of the most powerful earthquake ever recorded in Japan, Mariko learned that it would be difficult to return to her homeland in the near future. She would be here, on the other side of the Pacific, not knowing even what pieces to put back together. In this void, Mariko took action. She had already been energetically giving out her homemade miso to local Japanese families longing for a reminiscent flavor of home, now she began homegrown production in full, determined to make and sell miso to fundraise for relief efforts benefiting those affected by the Tōhoku earthquake. “I didn’t know when I lived in Japan how important miso was,” Mariko says. In the early days of Aedan, creating and experimenting with miso became her purpose and solace. And that was truly what her miso represented from the very beginning: a melody soaring above the rhythmic reprise of reality, an ode to everything that was taken away. Visiting Mariko and the rest of Aedan’s crew of colorfully smocked Japanese ladies at the La Cocina production kitchen, we found them in the middle of germinating steamed rice with koji-kin and hand packing miso into containers so large, you’d have to reach an entire arm in to touch the bottom. 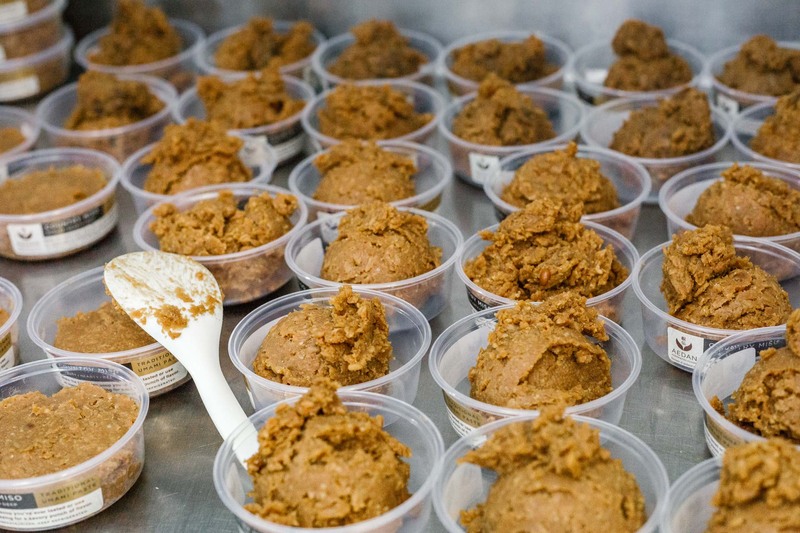 It’s Tuesday morning, rich red Country Miso paste is being measured into satisfying hunks and the Bay Area inspired Chickpea Miso (created to accommodate soy allergies) is gently churning in a large commercial mixer as the ladies slowly incorporate beans and koji, the fungal catalyst of the fermentation process. Aedan shares the kitchen with other La Cocina incubated companies and the energy is incredibly dynamic – flavor dense Jamaican patties onboard trays while Nepalese Momos are molded into dimpled perfection. 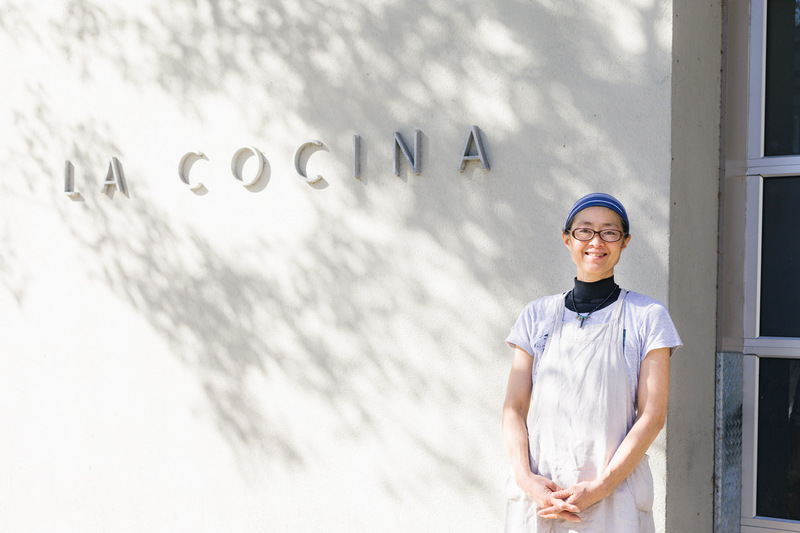 San Francisco’s La Cocina incubator, which has a history of graduating immigrant women into becoming successful food entrepreneurs, was Mariko’s big break. 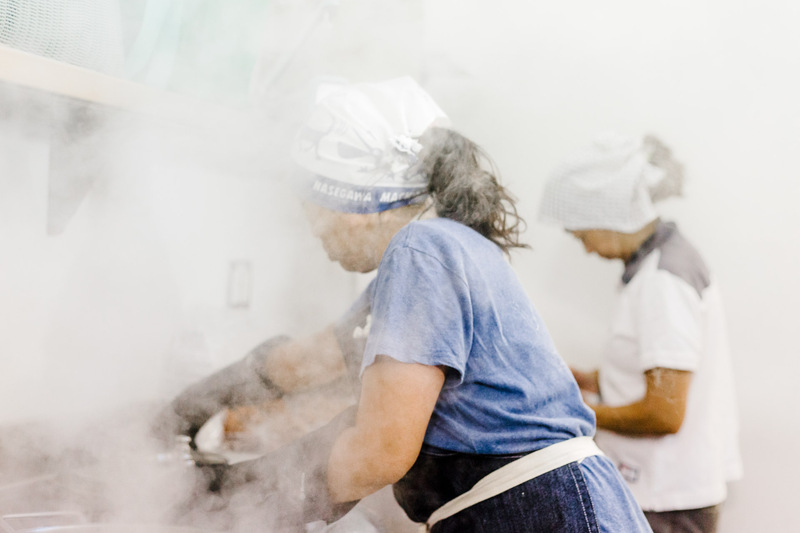 It took her from making miso unassisted at home to making miso with a small team at La Cocina’s kitchen in the Mission district. “They gave me a lot of homework,” she says, smiling as she recalls the pages and pages of questions in the application asking her to define her company’s value proposition and viability. It’s clear that this thoroughness paid off. 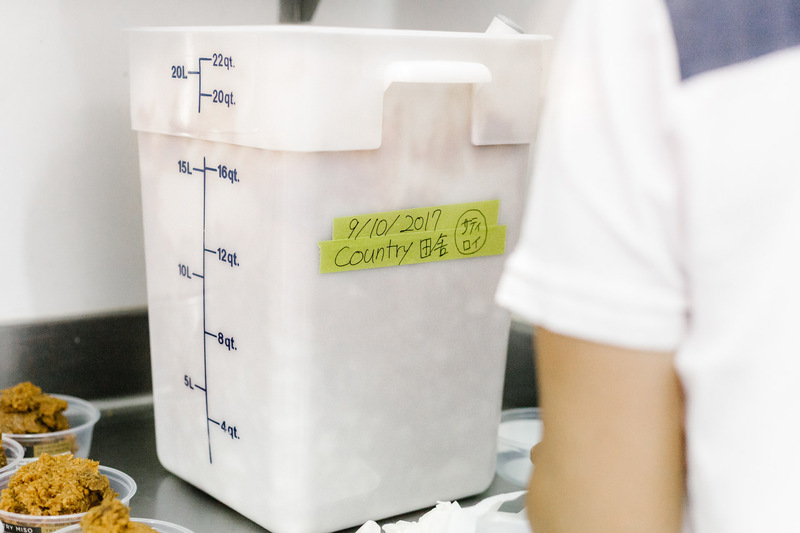 Aedan is growing steadily and supplies miso not only to Thistle but also local restaurants such as Lazy Bear, Manresa, and Sobo Ramen. It’s no wonder restaurants have gravitated toward Aedan’s incredibly high quality products. And for the average person cooking at home, Mariko’s pitch is simple: she believes busy folks should eat miso. “If we have not enough time, umami foods are healthy for a busy life.” She’s referring to the health benefits of koji and in turn, miso. 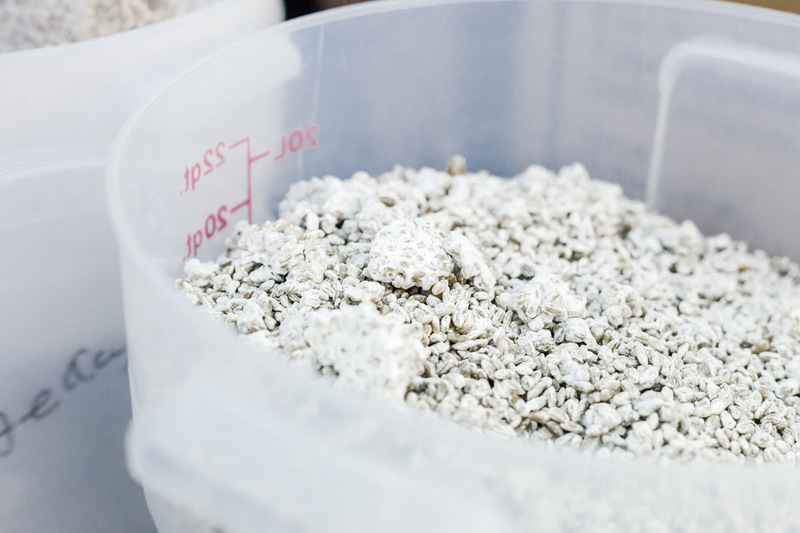 Her homemade koji is probiotic, unpasteurized, rich in enzymes and devoid of any kind of preservatives or artificial anythings. Not only does koji create amino acids by breaking down bean protein in miso, it’s also capable, when used as a marinade, of making other proteins easier to digest. Its flavor is complex, injecting a hearty dose of umami and, by breaking down starches into sugar along the way, a gentle uplifting sweetness to whatever you’re preparing. This is Mariko’s ideal: a wholesome ingredient that not only transforms food to be digestible and nourishing, but also greatly imbues the end product with a uniquely decadent flavor. 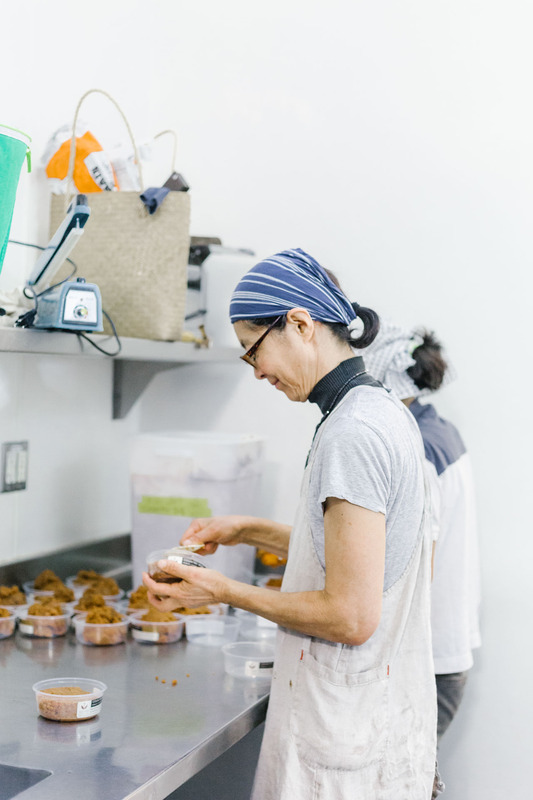 For Mariko, whose miso journey began with urgency and purpose, her craft now is entirely an act of passing down happiness and as she so deftly puts it, “the knowledge of how to be happy.” Aedan was named after her then ten year old son. “I don’t want to give kids some strange ingredients,” she says plainly, “miso is very simple: bean, salt, and koji that grows up from grains.” In making her miso, just like raising her son, she invests the utmost care, using her eyes and senses to, as she says, “take care of the koji, like a baby, helping it grow up.” She’ll stop and let someone else take over if she doesn’t have enough positive energy to give her miso. “They catch my vibration, my energy,” she says, “and my product brings this energy to the customer.” It’s true. Every Saturday, you can catch her passing this positive energy along, fulfilling another chapter in a simple yet miraculous story. Here at Thistle, we source locally and organically when possible. You'll find Aedan Fermented Food miso in our dishes throughout the year. Check out our menu to see what's coming up this week.